We are excited to share that our students are now able to use text messaging to reach out for help for themselves or friends at any time of day or night. Text-a-Tip allows students to find anonymous, immediate help if they are struggling with drug or alcohol abuse, depression, difficult family situations, bullying, or any of the many challenges they face today. Text-A-Tip is staffed with local counselors provided by LEAD (Linking Efforts Against Drugs), a non-profit organization focused on promoting healthy family relationships and preventing alcohol and drug use and other risky behaviors by youth. 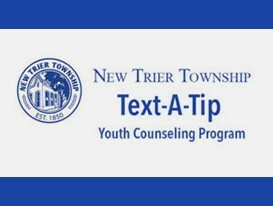 For additional information about Text-A-Tip, please click here. Unfortunately, today’s track meet at New Trier West has been canceled due to the weather. 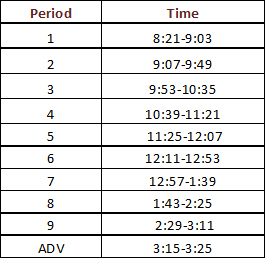 There will be practice after school today till 4:30 p.m.
On Thursday, April 25, all Central School students will participate in social and emotional learning during advisory. 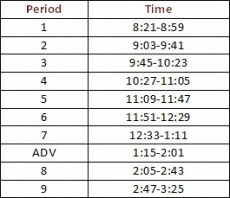 The special schedule for this day can be found below. The Track Schedule and Medical Release Form are posted below. For carline drop off and pick up, please do not park within 20 feet of an intersection as it obstructs sight lines to and from the crosswalks. 1. Beginning at the intersection of Greenwood and Hazel, cars should form one drop off line on the west side of Greenwood. 2. Cars entering the drop off line from Hazel must obey the stop sign and then turn left and enter the west lane of Greenwood. Cones will be added to prevent cars from turning left and entering the east lane of Greenwood. 3. All students should be dropped off in between the green cones in front of the main doors. 4. When dropping off, please pull up to the furthest spot possible within the green cones. When you can’t pull up any further, your child should exit and proceed to their preferred entry door. 5. Only the west side of Greenwood should be utilized until your child has exited your vehicle. Please do not cut from the east side to the west side to drop off your child. If you do this, it means you have not properly merged in the drop off line. 6. Please consider dropping your child off a bit earlier as this will reduce the congestion that begins around 8:10 every morning. Please click here for afternoon pickup procedures. 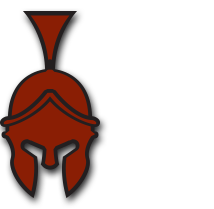 Central School offers two types of athletic opportunities. The first is through our interscholastic sports program. This program consists of formal school sponsored teams in soccer, basketball, volleyball, track and field and cross country. Central School also offers an intramural sports program that includes a variety of activities that meet before or after school. Our intramural sports program is open to all Central School students. We are asking that all families read the “Agreement to Participate” and have your child return page 5 to his or her advisor by September 5. Within this “Agreement to Participate”, you will find general athletic participation information, Board policy information, as well as facts about concussion symptoms and prevention. This agreement also notes a mandated protocol that requires any student who exhibits signs and symptoms of a concussion be removed from participation or competition immediately. Any student athlete removed from participation or competition due to a possible concussion may not return to play until authorized by a physician or a certified trainer. To review the “Agreement to Participate”, please click here. Please click here for a list of Central School’s clubs. There is no need to register. This school year, a service dog will be supporting a member of our Central School community. The service dog has undergone extensive training to meet the specific needs related to the student whom they support. Service dogs are recognized as an accommodation under the Americans with Disabilities Act. Should you have any questions please contact Valerie Lamberti (lambertv@glencoeschools.org), Director of Pupil Services.